Read it Forward is running an amazing sweepstakes! 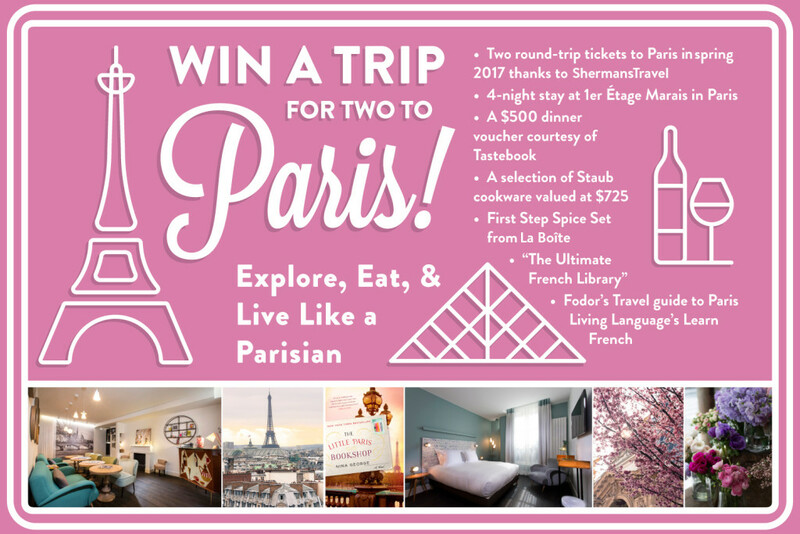 Enter for a chance to win a trip for two to Paris! To celebrate the paperback publication of the international bestseller The Little Paris Bookshop by Nina George, we want you to experience spring in Paris! Click here to enter before 11:59 PM (EST) on April 30th. Don’t miss your chance! We’re celebrating the 100th episode of the Beaks & Geeks podcast! Enter here for a chance to win twelve books of your choice that have been featured on the show, plus a pair of Beats by Dr. Dre Solo2 Headphones! Browse through all our episodes here, and listen to our Best-Of episodes here and here. Thanks for listening! Let’s get started! 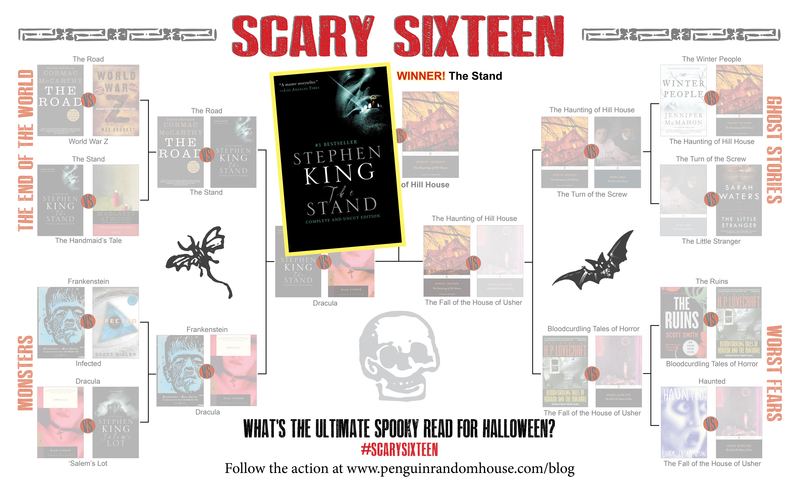 Meet this week’s kickoff contenders: vote for one of each of these match-ups, and enter HERE for a chance to win the prize. 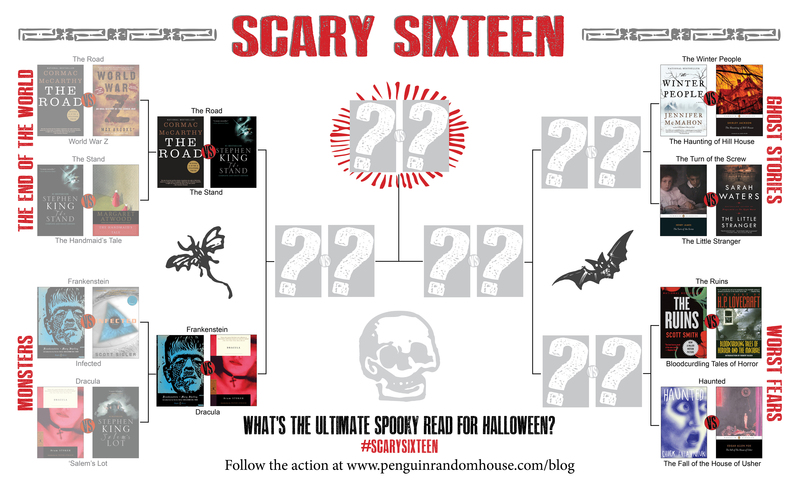 Follow on social media and share your thoughts with the hashtag #scarysixteen. WEEK 1: The Road vs. World War Z The apocalypse in World War Z is a busy and bloody chaos — the terrifying spread of two hundred million zombies devoted to consuming all life on earth is realistically recounted for us in every gory detail. 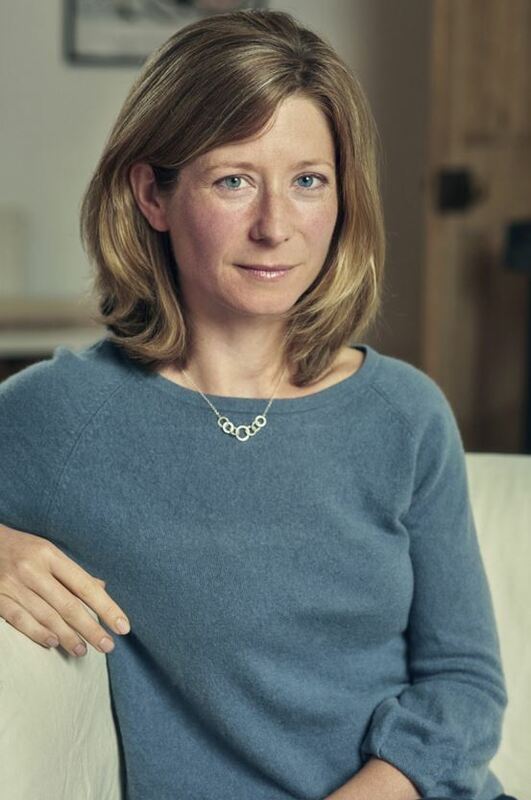 The apocalypse in The Road is barren and cold – the Pulitzer Prize winning book follows father and son as they travel through the abyss, dodging unknown perils at every turn en route to their only hope: the coast. 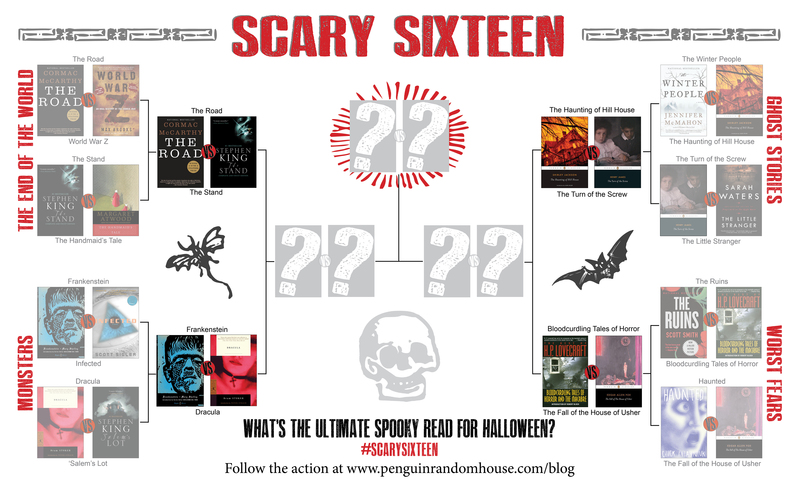 Which post-apocalyptic tale has you running for your panic room? Frankenstein vs. Infected What’s scarier? 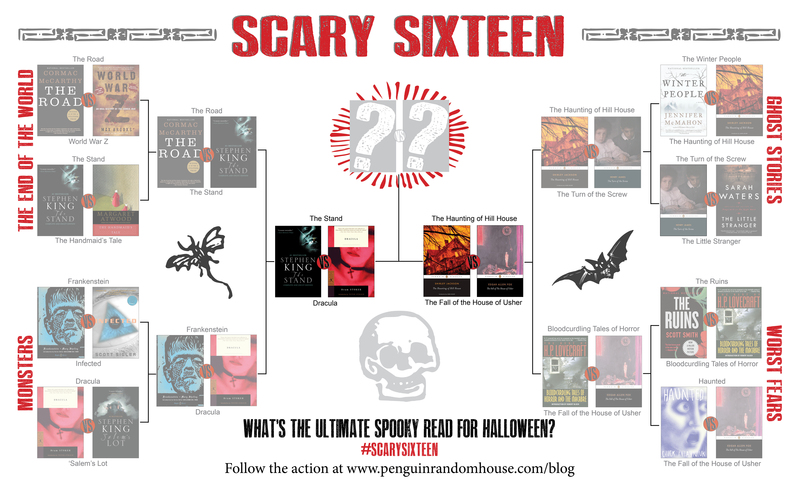 Victor Frankenstein’s terrible creation of an anguished monster or an alien disease that turns ordinary Americans into raving, paranoid murderers who inflict brutal horrors on strangers, their own families, and even themselves? 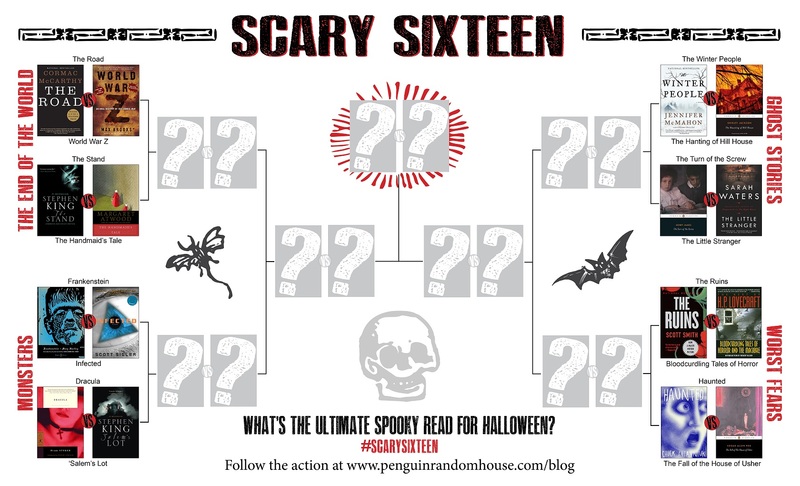 Click the image below to see the fullsize bracket, and check back next week to find out who survived the first round! 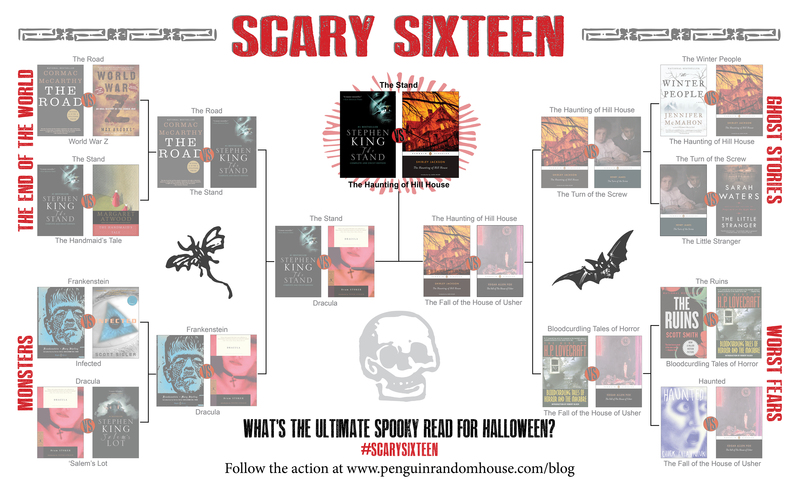 If you haven’t read the books mentioned above, check them out here!